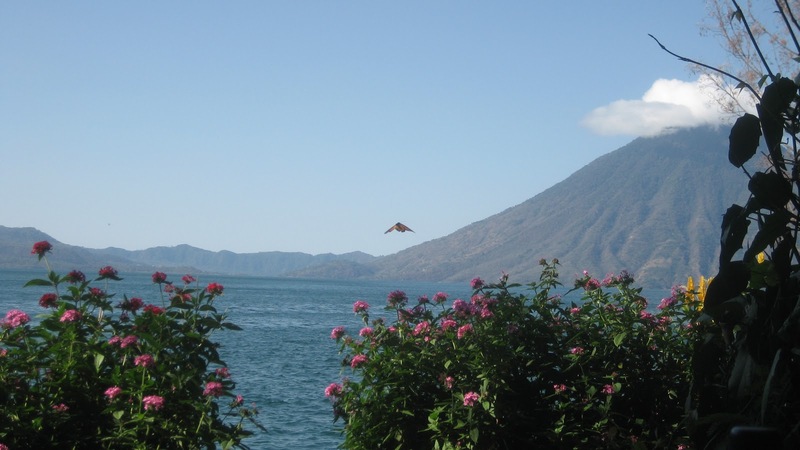 The bugs around Lake Atitlan are funky. Giant beetles the size of small black mice droopingly “flit” from flower to flower on wings that barely keep them aloft. Monarch butterflies have appeared and are a pretty addition to the lovely view at breakfast. I was awoken my first night in Santa Cruz at 3am by a shriek of profanity. One of my dormmates, up late drinking and saunaing, had been stung on the toe by a scorpion in the bathroom. As he described the extreme pain and his friends laughed, I wondered what is the proper treatment for a scorpion sting anyway? What types of scorpions are here? (I should really find this out…) Apparently the remedy is to sleep it off and endure a numb limb for a few days. In the morning I congratulated him on not being dead, even if he couldn’t feel his right leg anymore. He seemed pleased, though lopsided. This entry was posted in Central America, Guatemala by ladyasatramp. Bookmark the permalink.